No doubt, Motorola is late to the game with a high-end Android offering for AT&T’s lineup, but nevertheless, the time is finally here for its flagship to shine. 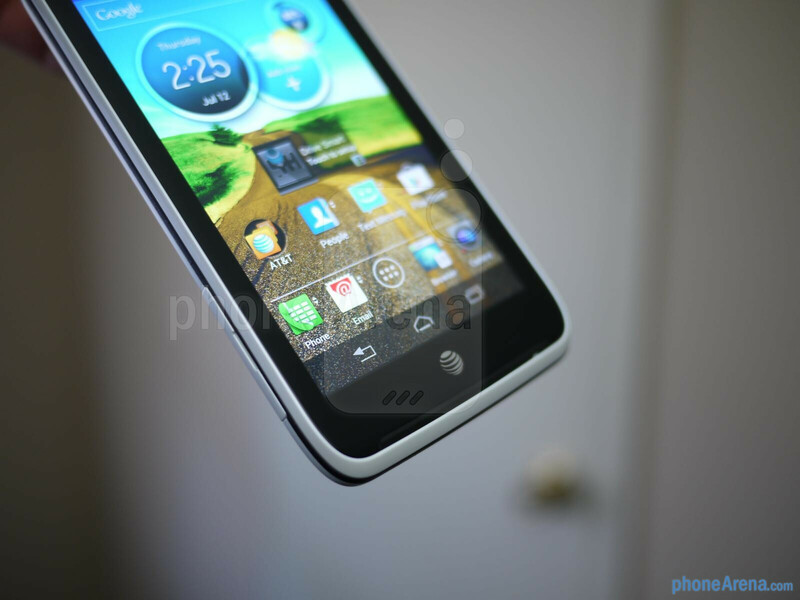 After seeing quality devices like the HTC One X, Samsung Galaxy S III, and Sony Xperia ion, AT&T’s lineup is continuing to be a healthy and solid one now that the Motorola ATRIX HD is poised for release very shortly. Donning one affordable $99.99 on-contract price point when it’s released July 15th, there’s a lot to love about this one – despite being somewhat tardy. 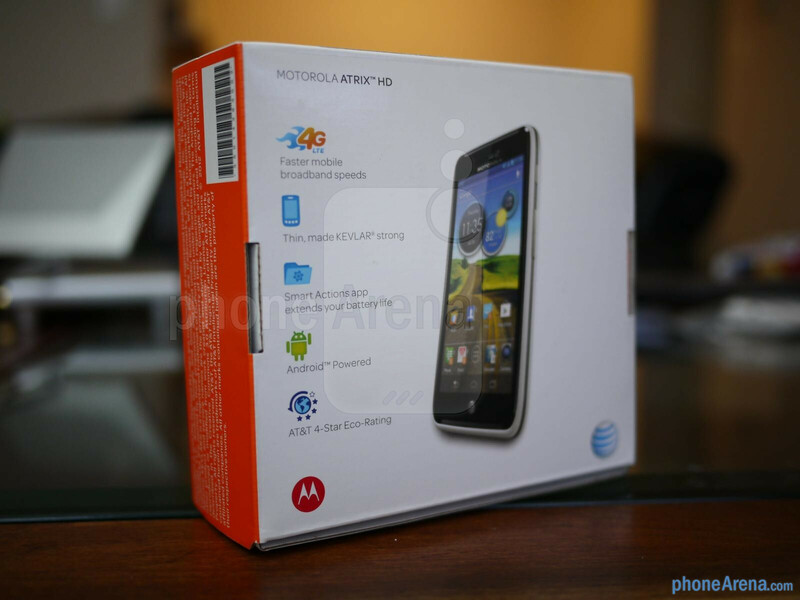 Hardly a surprise, the packaging for the Motorola ATRIX HD is similar to all other devices we’ve seen for AT&T – meaning, it boasts the usual white and orange colors attached to the carrier. 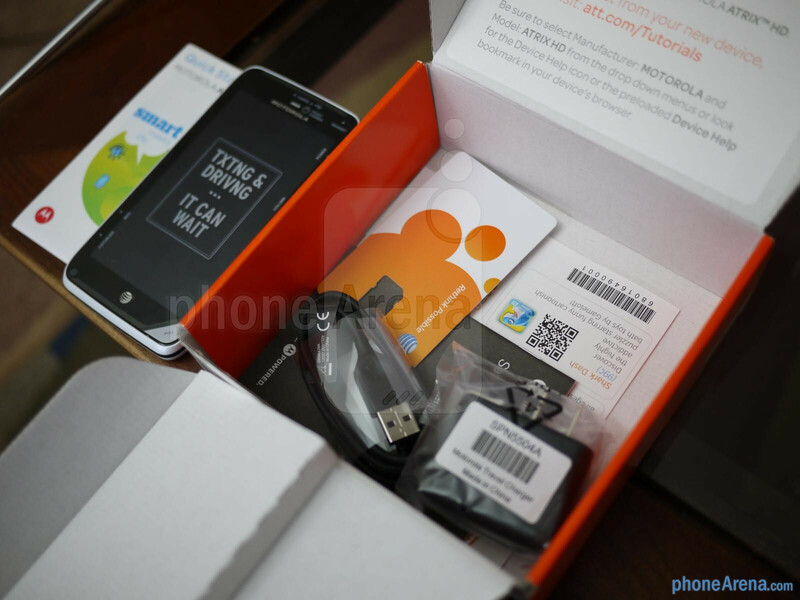 Taking center stage, there’s an image of the handset in question both on the front and back of the box. In the rear, however, we’re treated to some quick standout features of the handset – like its 4G LTE connectivity, KEVLAR strong rear casing, SMART ACTIONS functions, and its 4-Star Eco-Rating. Inside, there’s nothing out of character as it’s packaged along with the usual set of documentation, microUSB cable, and wall charger. 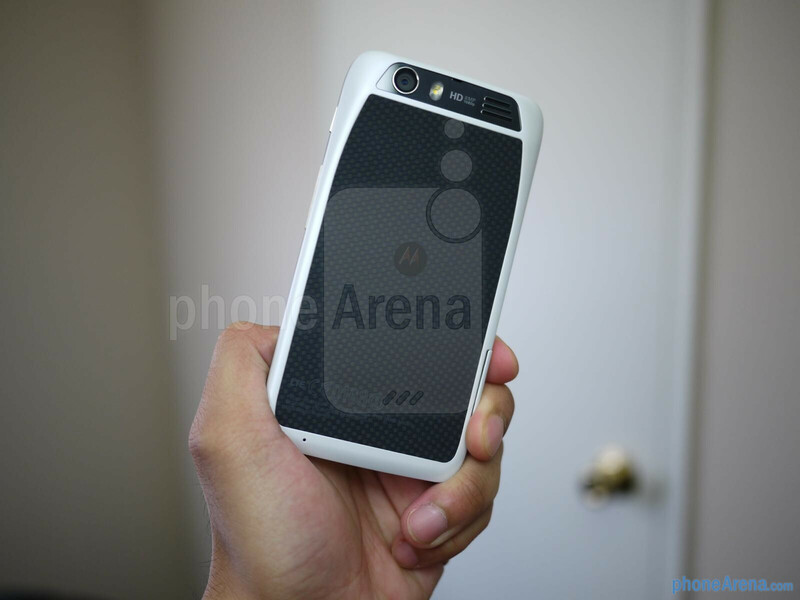 Right away, there’s no denying the direct relationship with its design to Verizon’s Motorola DROID RAZR MAXX. 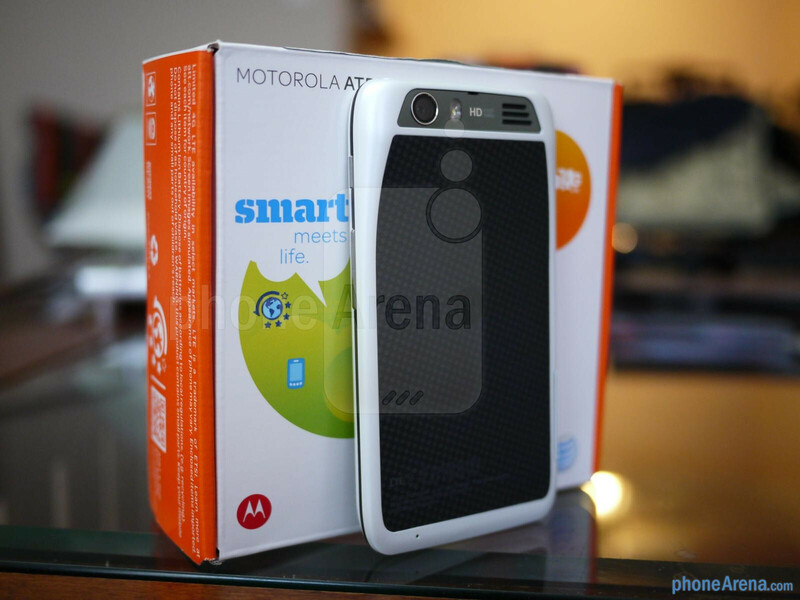 Utilizing the distinctive design characteristics we’ve seen on previous Motorola devices, there’s nothing particularly fresh looking with the ATRIX HD’s design. Nonetheless, it’ pretty solid with its overall construction, which can be attributed to its durable plastic casing, KEVLAR fiber rear casing, and water-repellent nano-coating. Even though it doesn’t push the envelope with its 8.4mm thick frame, it’s still fairly streamlined enough to tuck away inconspicuously in a pocket – though, it does feel rather weighty for its overall size. Turning on this beast, we’re greeted with a brilliant looking 4.5” HD (720 x 1080) ColorBoost TFT display. Obviously, we dig its sharp details, high contrast, wide viewing angles, and rich color reproduction. In fact, it has a powerful glow that enables colors to pop with plenty of iridescence. 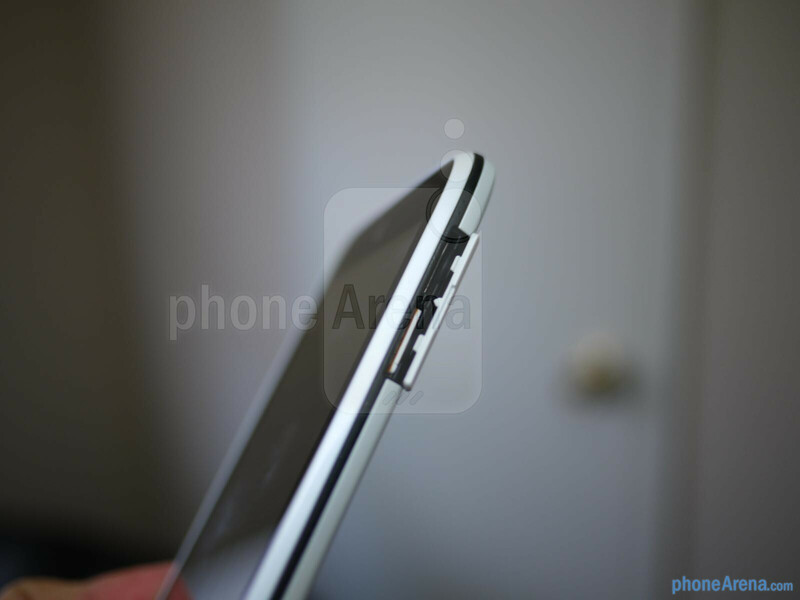 Additionally, it's soundly protected due to the fact that’s packing scratch-resistant Gorilla Glass from Corning. Certainly, it’s pretty looking to the eyes and all, but we sorely wish it were just a bit larger to match its direct rivals. 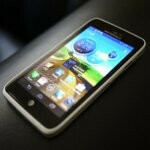 Specifically, the size of Motorola ATRIX HD is comparable to the HTC One X, so it makes us wonder why it's unable to accommodate a larger display. In terms of hardware, the Motorola ATRIX HD comes to the table with some of the contemporary stuff we’ve seen of late – with nothing that’s really out of character. 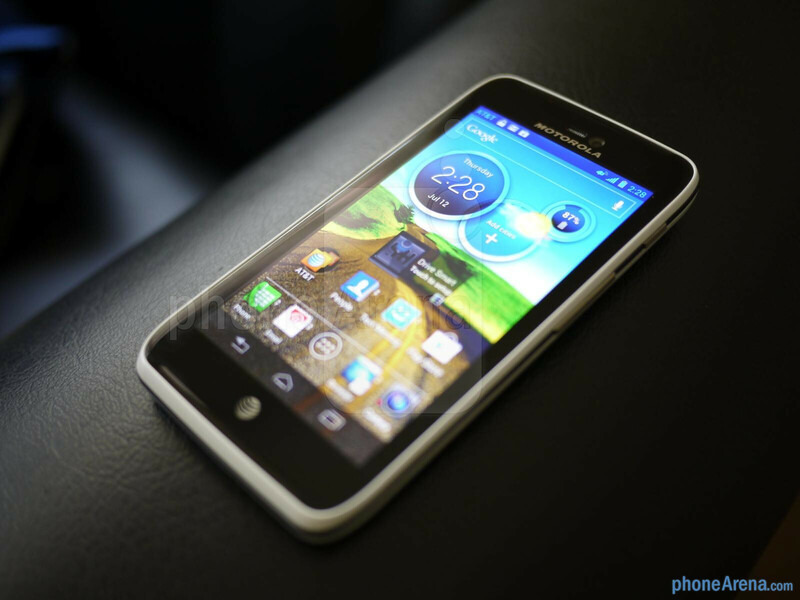 Powered by a dual-core 1.5GHz processor coupled with 1GB of RAM, the handset seems to move eloquently with various operations, and in our short time checking it out, we’re fairly content with its peppy performance. 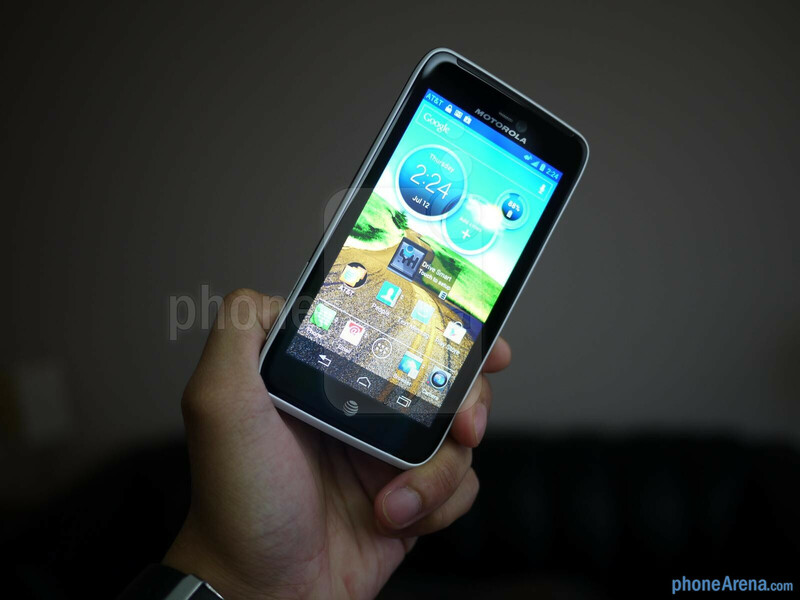 Naturally, it also helps that the handset is running Android 4.0.4 Ice Cream Sandwich – albeit, with a faint customization. Rounding things out for this lovely device, it features aGPS, Bluetooth, Wi-Fi, 8-megapixel rear camera, 1080p video recording, 1.3-megaixel front-facing camera, microUSB port, microHDMI port, microSD slot, and a 1,780 mAh battery. At heart, this is yet another high-end offering that’s stacked to the roof with some quality hardware, but even better is the fact that all of this can be experienced for a mere $100! We’ve already checked out the comparable Sony Xperia ion, so let’s cross our fingers that the Motorola ATRIX HD can continue the fine standard for this newly created budget high-end offering. Expect our in-depth review soon! A rose by any other name smells just as sweet. Does it matter what they call it? 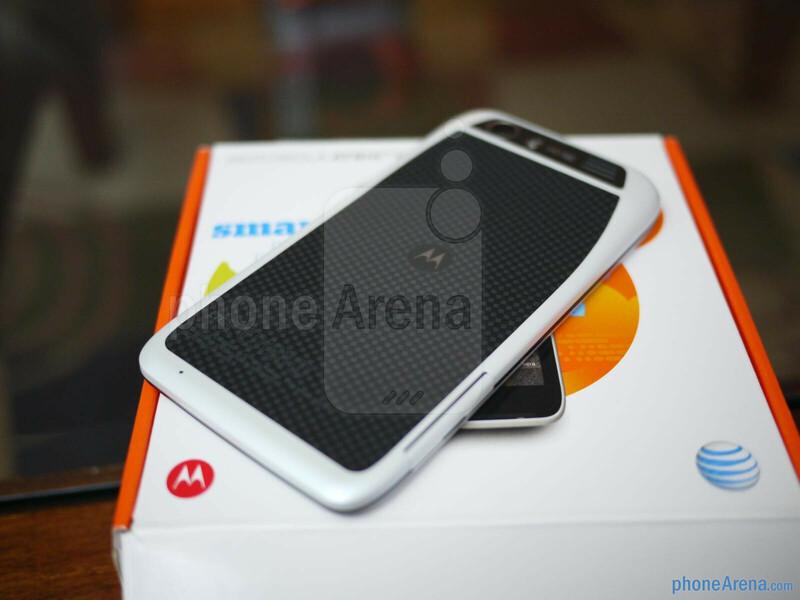 This is obviously the Atrix 3, even if not by name. 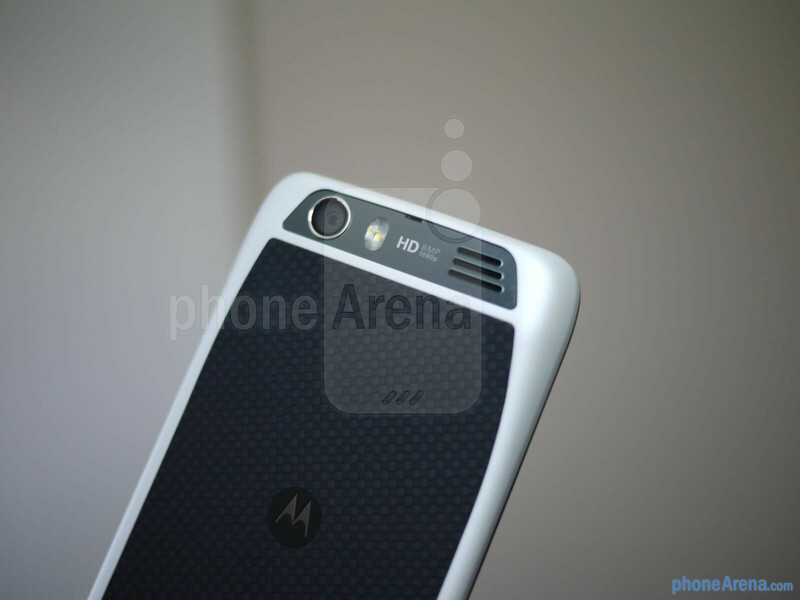 HD in the name, design of the razr maxx, with lower battery? Just hope they will make, once again, an actual "atrix 3"
To sum it up, saying this phone isn't the Atrix 3 would be like saying the new iPad isn't the iPad 3 simply because they didn't name it as such. Names don't really mean much. 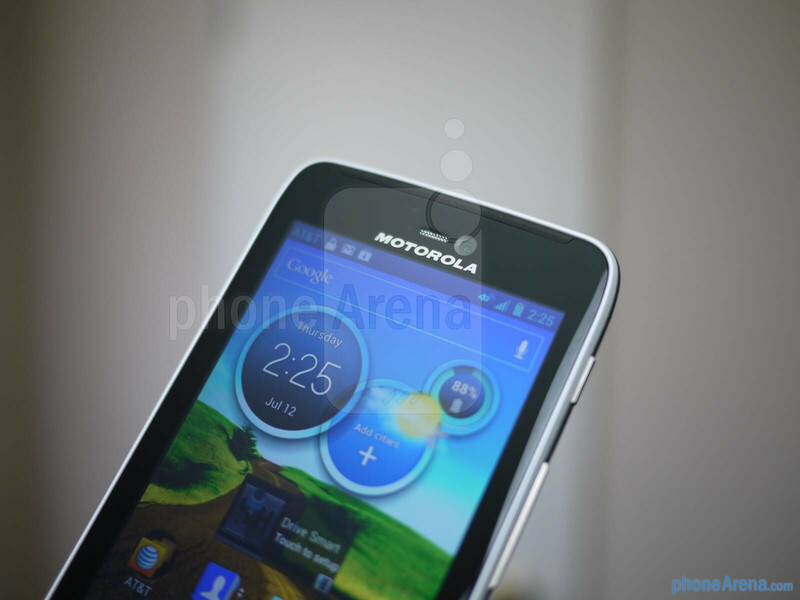 Recently I've been skeptical of Motorola's screens and UI, but It looks like they got both right this time. I'm looking forward to the full review. lol I hope they don't release a ATRIX HD MAXX in 2-3 months from now. Anyway, AT&T is really good about their prices and now selection. Samsung Galaxy S3 One X ATRIX HD You really can't go wrong with any of these devices and the 99 price tag from the start is very appealing for such a high end, well built device. Motorola might also have the best display type around now. Looks really sharp and beautiful with great viewing angles. I just wish it had a bigger battery but for it's price, it's a steal. They also have the Sony Xperia ion, which I guess is Sony's "high-end" device. 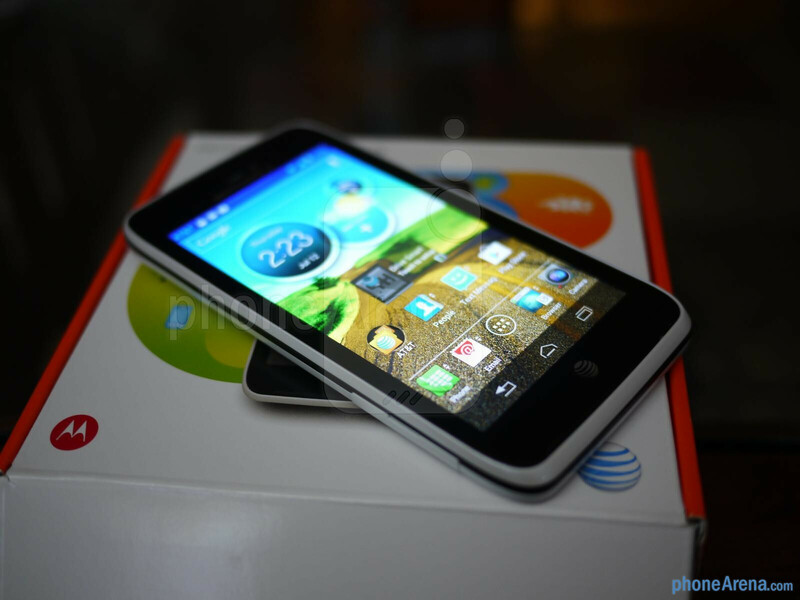 Now AT&T just needs to land the LG Optimus 4X and they'll have the five-fecta of high-end phones from the major Android manufacturers. They've come a long way from two years ago, when their only Android phones were the HTC Aria and the Motorola Backflip. True but its running on GB and has last years S3 processor. That's why I didn't include it but it isn't a bad device tho. That's why I put "high-end" in quotations. The way I see it, it's not much more than a Rezound with a lighter skin and a better camera. But it still is one of Sony's highest-end phones, for better or worse (worse). There is also the Galaxy Note. 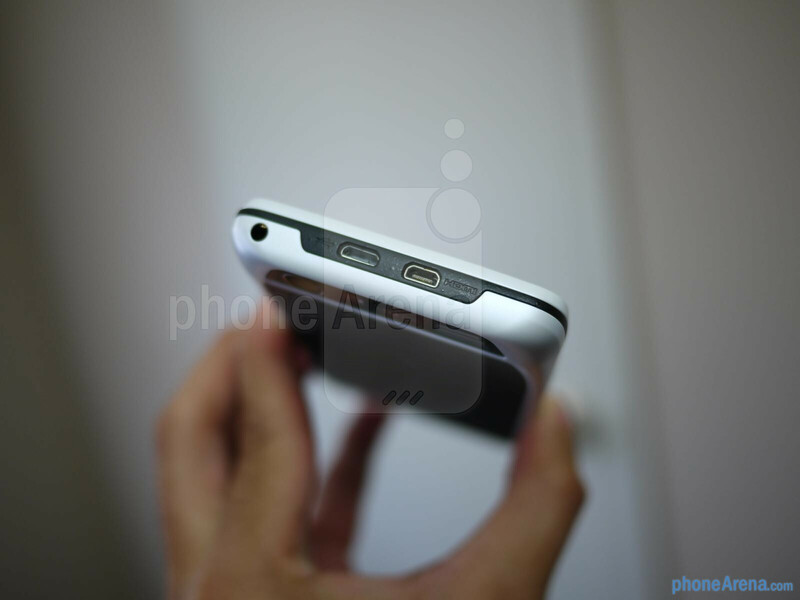 Again that is last year's device when the Note 2 is just about to be released in the next couple months. RIGHT NOW IMHO AT&T has the best line of devices. 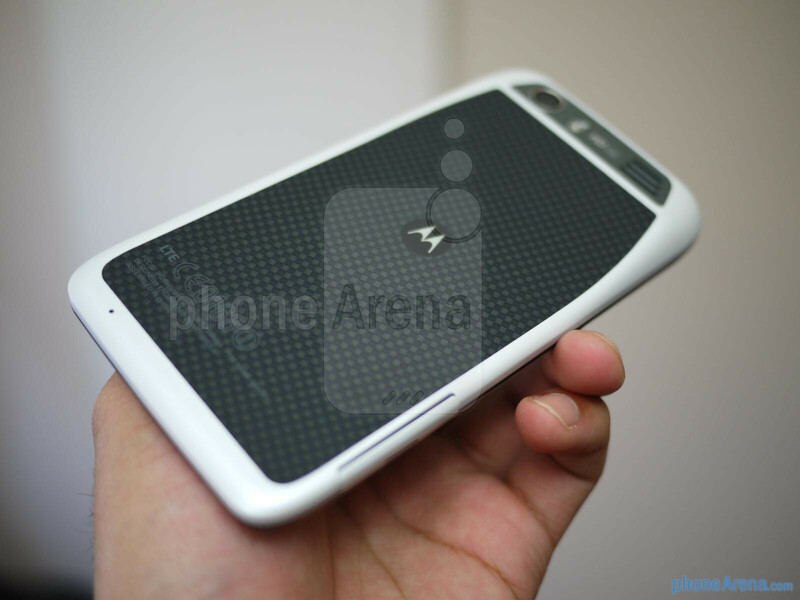 Verizon is just getting the GS3 but has no One X line and the RAZR 2/MAXX 2 hasnt been released just yet. 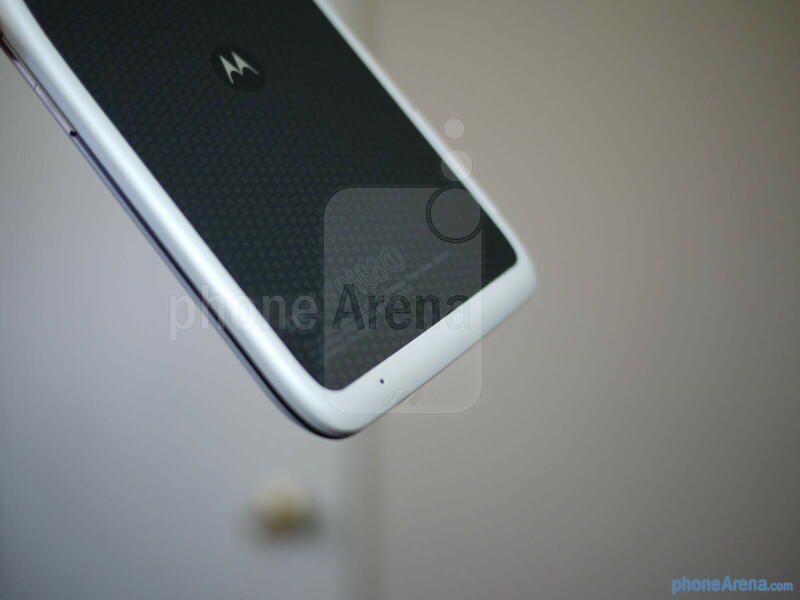 Sprint does have the GS3 and the EVO LTE but no new Motorola just yet. Hopefully they will release them soon, really looking forward to the end of 2012 as there are great devices from all brands. all Verizon is really missing is a true to home One series device (although the Droid Incredible 4G LTE does still give you the meat and bread) and a plethora of WP devices but i'd rather them wait until they can get WP8 handsets (which they will, probably starting with Nokia) so there's not any legacy handsets for them to have to support but when the new wave of Droid RAZRs hit (hopefully soon), forget about it. 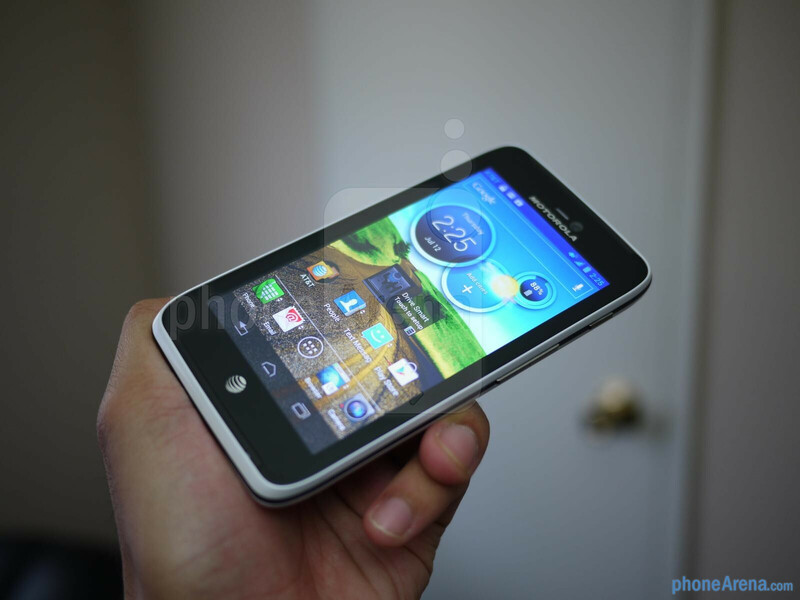 the Droid RAZR HD will probably be the only one for a bit that can actually trade serious blows with the SIII. i think it's awesome. just sad because it's not a flagship. 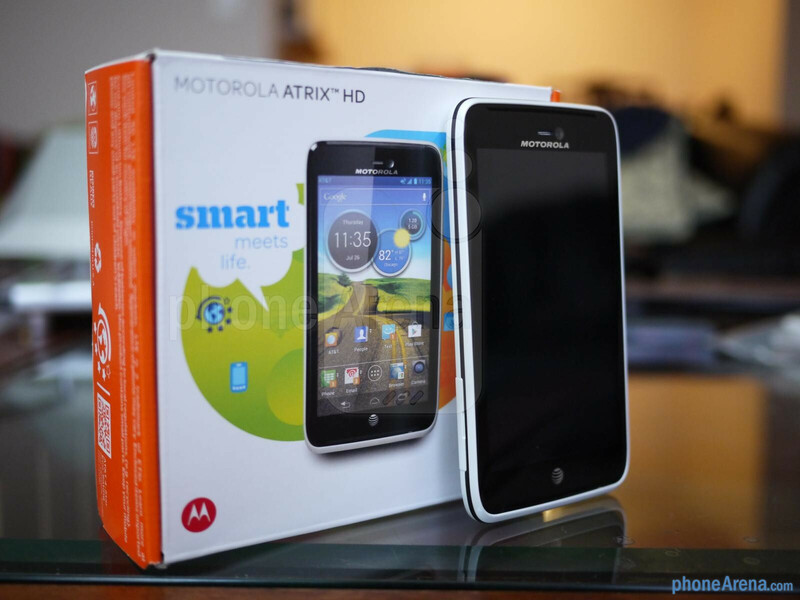 It is sad because this is far and away the best smartphone Motorola's ever released, and easily holds its own against the GSIII and One X, but AT&T treats it like it's no big deal. 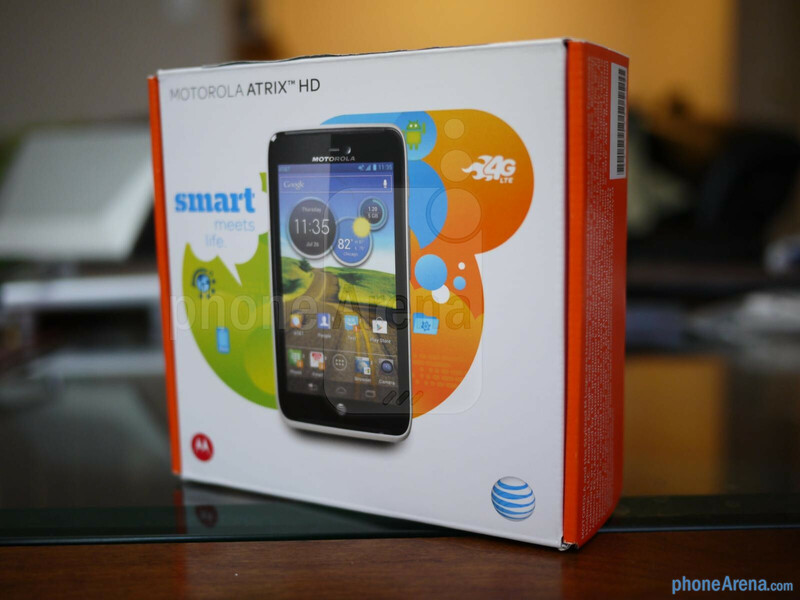 I bet all the average consumer will see of it will be at the end of some typical AT&T commercial, with some narrator quickly stating "right now, get the Motorola Atrix HD for only $99 with a new contract" and that's it. Did anybody else see that he tapped on the att logo thinking it was the home button? I imagine this has the new ics webtop interface when used with a lapdock or connected via hdmi like the Razr? On paper this phone really shines. 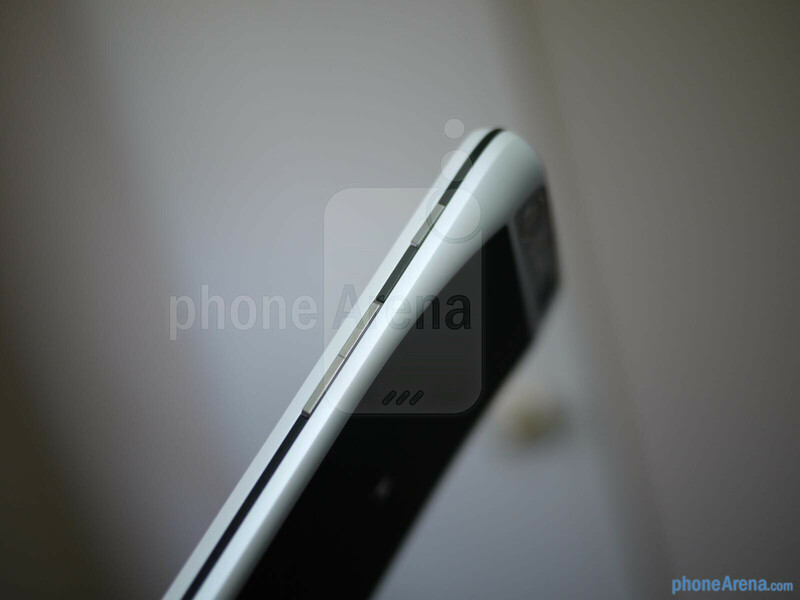 The specifications are right up there with the HTC One X and the Samsung Galaxy S III. By the looks of things, it is also probably running the best iteration of Ice Cream Sandwich of the three (less is more) at half the price! Unfortunately (like it's Atrix siblings before it) the hardware design appears uninspired. I would love to buy this phone but as a consumer, design is important to me. 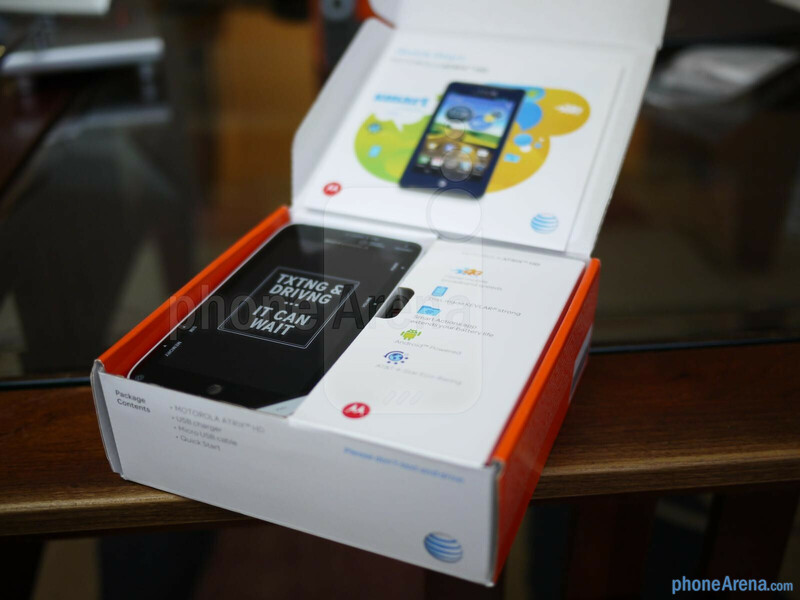 This phone could have done without the unsightly AT&T logo front and center as well as the cheap looking white frame. i actually kind of like the AT&T logo now. i was skeptical about it at first but it has a real minimal charm to it. see one in person then make up your mind about it. I typically don't like any carrier branding on the front of my phone. I'd rather see a physicaly home key or more screen real estate. this is a beautiful handset and another good thing is that the interface on the Atrix actually addresses the minor concerns i have with the Razr's ICS update so very nice and today a new lower end Razr leaked for Verizon and that might be their equivalent to this as perhaps a Razr 2 and then there will be the supreme Razr HD! The new "lower end Razr" (XT907) you're referring to is listed to have a qHD screen, not an HD screen like the Atrix HD, so I doubt it will be the Verizon equivalent of this, although it could very well be the Droid 5, as it's rumored to have a physical keyboard. For half the price, your getting ab HD display, better than the one in the One X (due to higher pixel density, that is the same as the iphone 4/s, add to that a colorboost 720p HD display) your also getting not an awesome design, but the material is better than the one in the S3 and One X. And the UI is much cleaner then touchwiz and sense, but that changes on other people's likes. This is a great device, up there with the One X and S3. Don't be too quick to declare this display better than the One X's based on pixel density. Sure it has higher pixel density, but by doing so sacrifices valuable screen real-estate. By your logic, a 1" 720p screen would be even better, because the pixel density would be 1468.6 PPI, which is much higher than the iPhone's 329.65, the Atrix HD's 326.36, and the One X's 312.47. I'll save my judgment on ColorBoost vs. S-LCD2 until I see a comparison, although it does look beautiful in the video. really the trade-offs for the smaller display would come in when you factor in the ppi and the more manageable size of the phone (if it's bezeled right.) the ppi by itself is kind of negligible at this magnitude but if the phone benefited by being more comfortable in the hand because of it then it's a more valid trade-off. whether or not that's the case we'll learn soon enough.